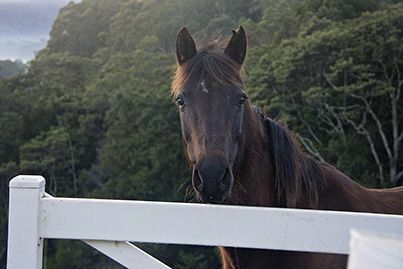 HWH Stables offers a Horse Transport service for up to 6 horses as well as a Barefoot Trimming service, both services are for customers located within the local area of Coffs Harbour and its surrounding shires. Our large truck is able to take 10 horses, however we limit all transport jobs to 6 horses. 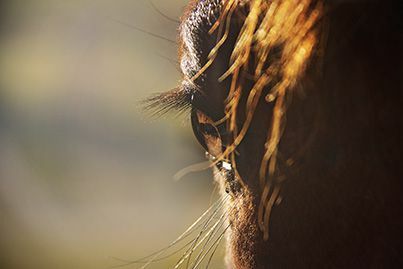 Barefoot Trimming services are also combined with consultation of individual horses’ diet and nutritional requirements and general hoof care. Transport Price Guide - $100 service fee plus $2 per kilometre – insurance is available upon application at an additional fee. *Conditions apply. Barefoot trimming is about simulating and stimulating. First we are simulating the wear horses' feet would get if they were free to get all the exercise they needed to keep their feet self-trimmed. Secondly we are trimming the foot to stimulate it to grow healthy and in the proper form for each individual foot. In other words we are helping nature - key word "helping". We are not trying to impose our idea of perfect form on the foot. On the contrary, we read each foot to see what IT is trying to tell us it needs. 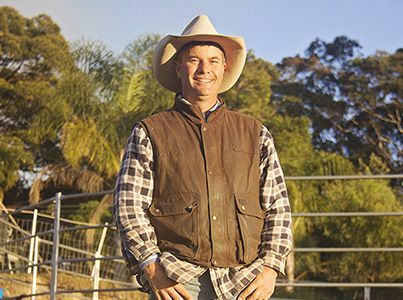 In addition to keeping the length under control, we also use a "mustang roll" or in Australia, "brumby roll" to keep the toes from running away (a common problem) and the breakover where it belongs. If you have seen horses with shoes, then you've probably noticed that the shoes have been worn in such a way that the front is rounded. 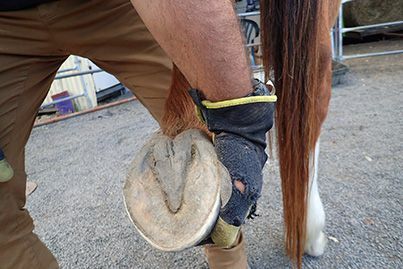 This is how horses try to wear their feet. The roll is important, it not only saves the horse the work of doing it themselves, it keeps the foot from chipping.